They grow up so fast, don’t they? When we last visited paddock-to-bottle distillery Redlands in 2014, their spirit was still too young to be released and head distiller Dean Jackson was only just filling barrel number 42. 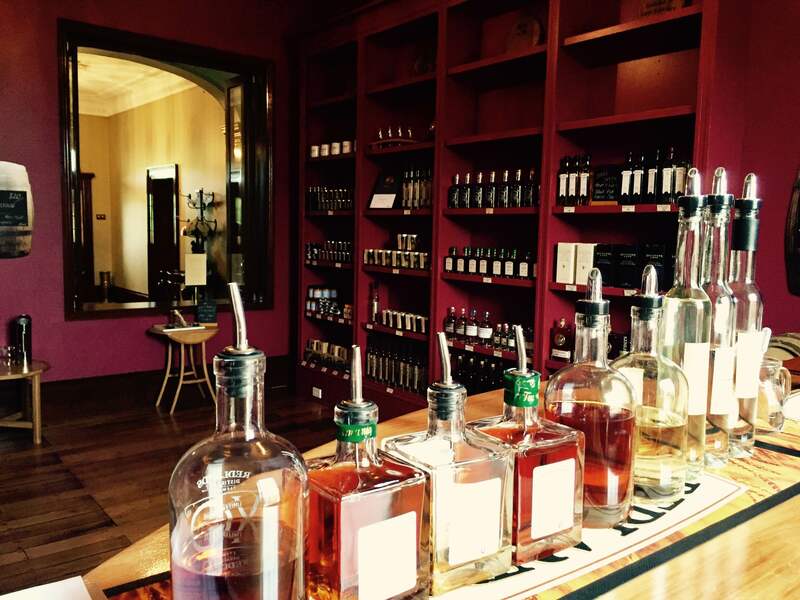 Fast forward two years and the shelves are stocked with elegant (cuboid) bottles of Redlands paddock-to-bottle Tasmanian single malt and Dean is busy filling bottle number 271. Oh, and did we mention that the distillery has moved 50km up the road to a new site? Knock knock! Wafflers at the door. 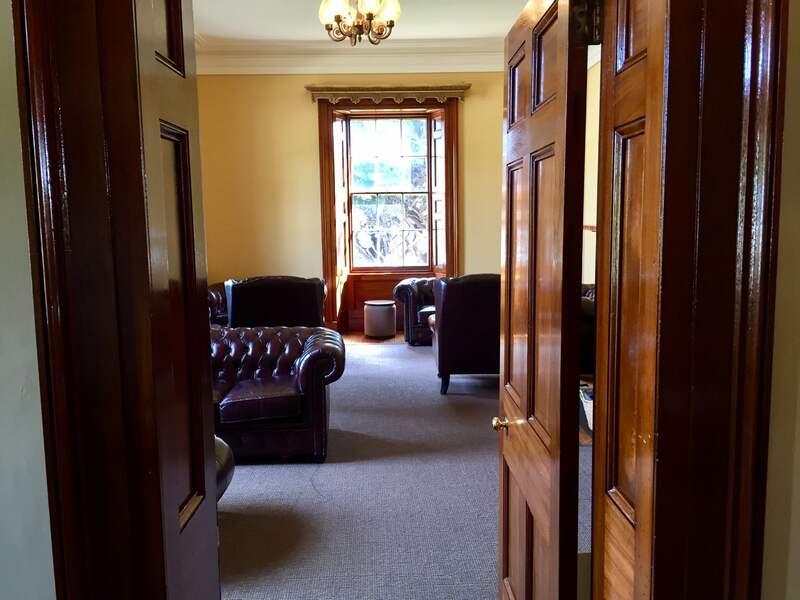 After the sale of the Redlands Estate property in late 2015, the distillery was faced with the challenge of finding a new home in just 21 days. 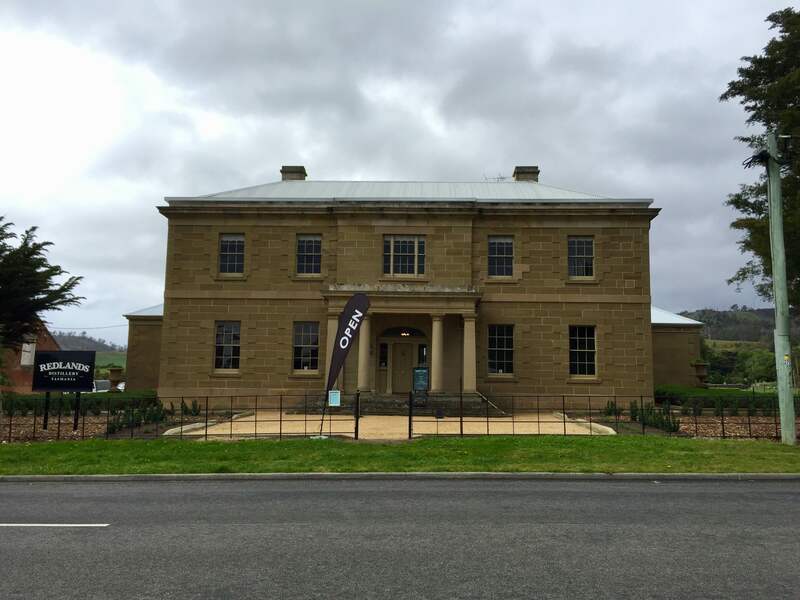 After several weeks of stress-filled searching, they eventually settled on what they hoped would be the perfect venue: the heritage listed Dysart House in the small southern-midlands town of Kempton. From the moment you push open the (heavy) front door you can tell that Redlands has fallen on its feet. The main house is built from beautiful sandstone blocks and the dark timbered interior houses the cellar door, kitchen, a sitting room with high backed leather chesterfields (careful not to slide off – Brigitte likes to keep them well polished) and a glorious blackwood table (which only made its way inside with help from Whisky Waffle’s muscle). The distillery and bond store can be found in a red-bricked outbuilding off the side of the main house. 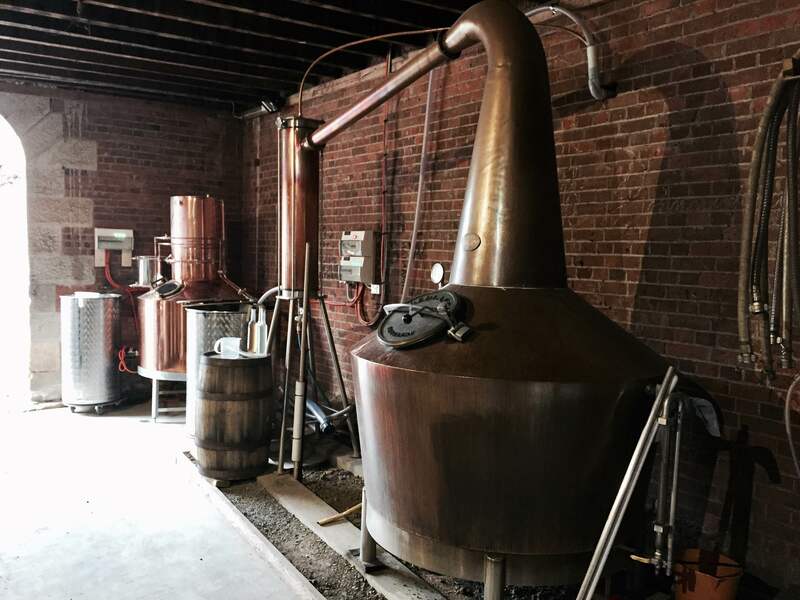 Redlands’ continued growth is evidenced by the addition of a new still, with the (now) wash still, Heather, joined by new spirit still, affectionately known as the Mad Hatter. The bond store continues to expand, now housing hundreds of 20 and 100 litre barrels that once contained pinot noir, port, sherry and even Tokay. 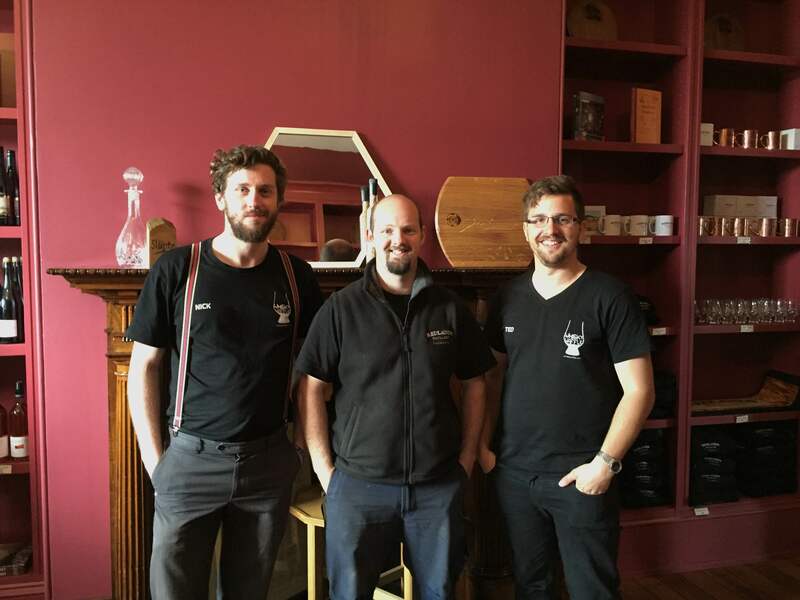 These days if you visit Redlands, you will be able to try some of the most elegant, drinkable and delicious whisky Tasmania has to offer. Redlands’ signature release is aged in Tasmanian ex-pinot noir barrels and is like drinking apricot jam. The unusual ex-tokay barrel release is broad and full across the palate, oozing with dark berries, while the ex-port barrel, which we tried at cask strength, offers marmalade, honey and vanilla. Redlands has changed so much in the last two years, but they have even grander plans afoot for the near future. While the old brick outbuildings are charming and old-worldy, they simply don’t have any space for expansion as the distillery scales up production. The solution to this problem is the construction of a facility in the adjacent field, with work scheduled to begin in 2017. The new distillery will allow for a greater output, allowing the Redlands single malt to be enjoyed by a much larger audience. 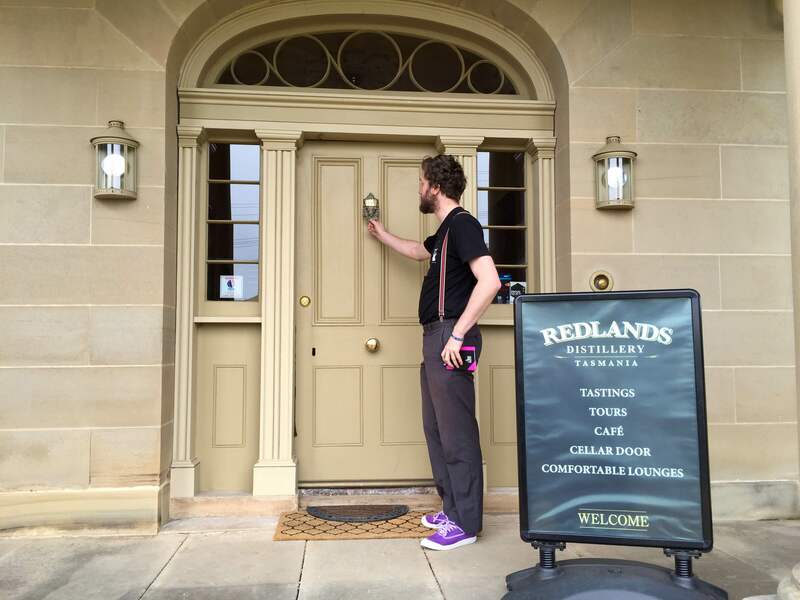 The sale of the old Redlands estate could have easily spelled the doom of the distillery; instead it luckily seems to have made it stronger. Who knows what the future will bring, but you can be certain that Whisky Waffle will be back to find out. …and next time we’ll bring Dean a box to stand on in the photo!